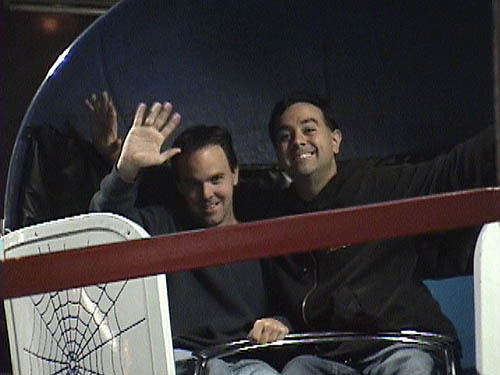 Knoebel's Phall Phunfest 2003 trip! 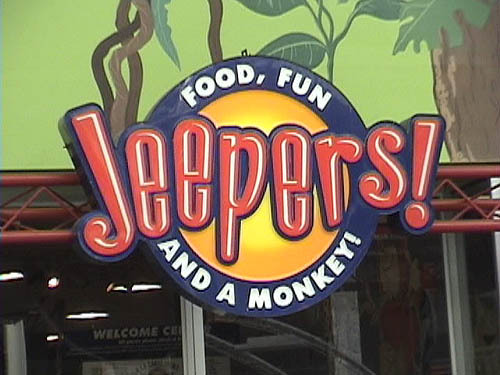 Robb can't say no to any place with food and monkeys! After all, there is a credit for Elissa here too! After a year of hiatus from the "Bee Game", Elissa makes her first stop here. 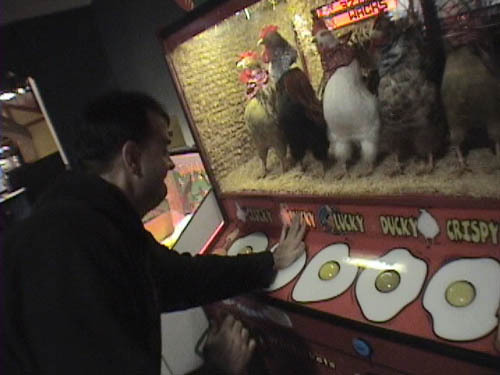 Robb is hoping that if he wins the "Chicken Game", he can eat one! Max is hanging out with the credit whore! 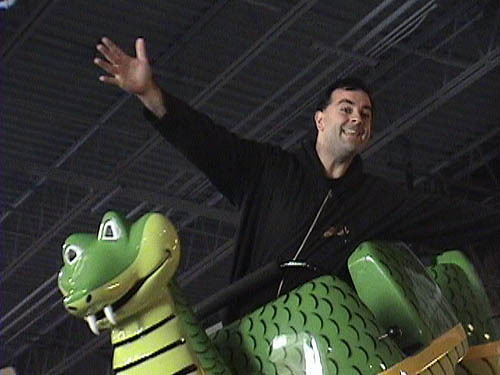 Robb rides this Python Pit alone. 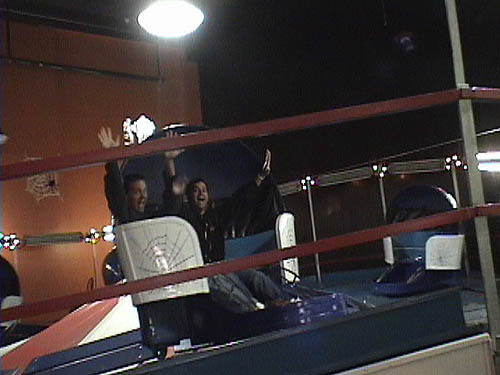 Little did Robb and Max know that this Tilt-A-Whirl ride was going to last 11 minutes!!! 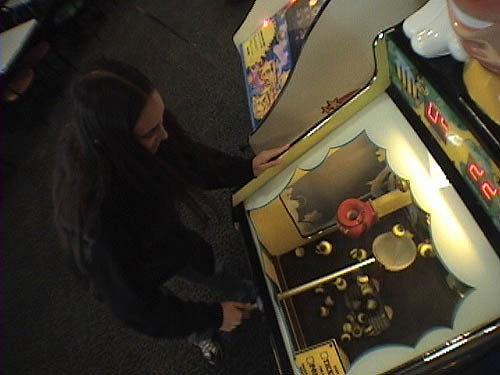 During that time, they tried really hard to get it to whirl, but it mostly just tilted. 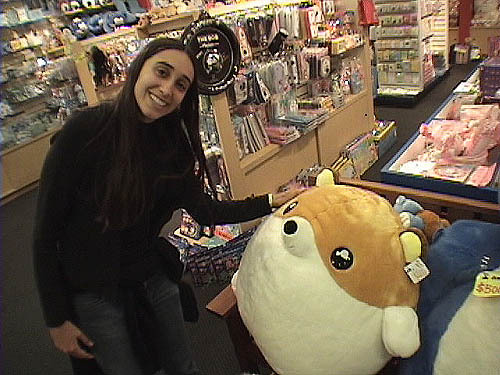 Elissa couldn't bring herself to spend the $150 on the giant hamster! 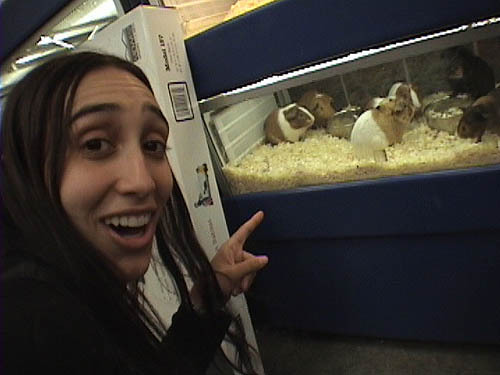 So we went to the pet store to see real rodents! 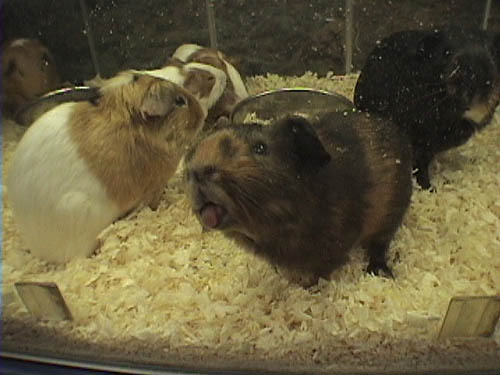 They are cute even when they stick their tongue out at you! 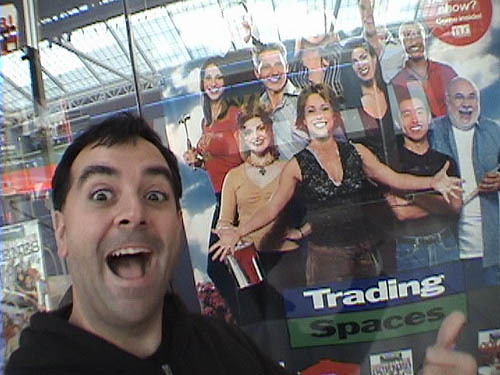 Robb joins the cast of Trading Spaces!!! 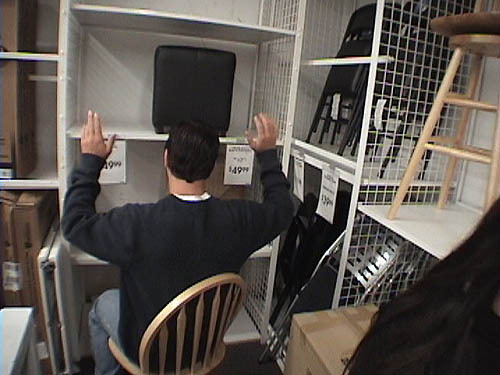 Max went shopping for new barstools for his house to impress all the hotties with, but we would like your opinion. 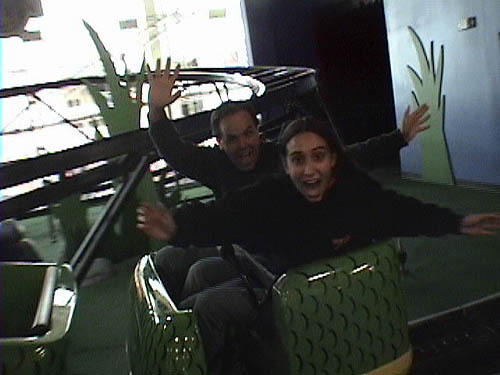 Click HERE for Six Flags New England 2003 Photos!